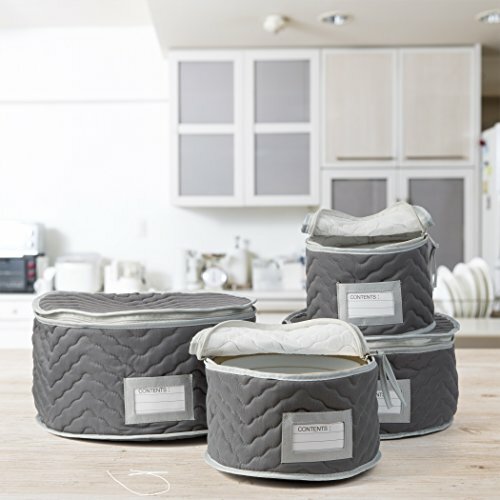 Thick plush quilted micro fiber china storage cases protects your fine china from dirt and chipping. Comes with thick felt plate separators. 4 pc set for saucers, dessert, salad and dinner plates. Each holds 12 service plates and has contents label. Plate sizes: Saucer plates up to 7"; Dessert plates up to 8.5"; Salad plates up to 10"
If you have any questions about this product by Richards Homewares, contact us by completing and submitting the form below. If you are looking for a specif part number, please include it with your message.